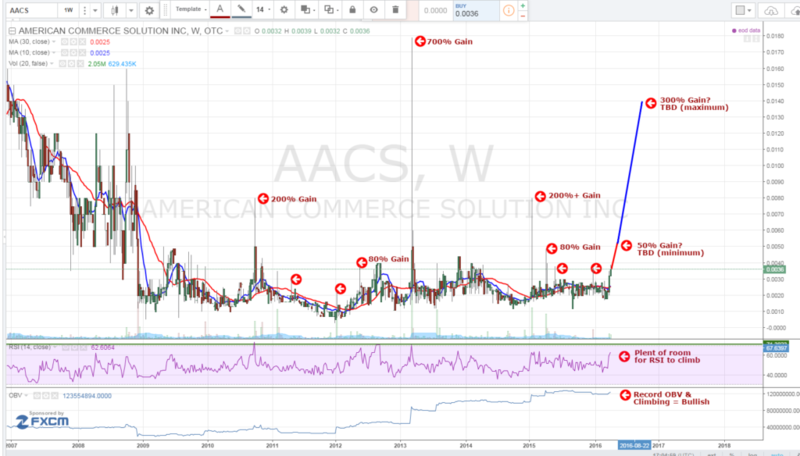 American Commerce Solutions, Inc. (OTCMKTS:AACS) has just received a $1.6 million credit line through its subsidiary Best Way Auto and Truck. The credit line is from Fleet Way Leasing Company in Pennsylvania. The funds will be used to purchase of 70 new vehicles for the AACS’s rental fleet. This line of credit is based upon a 24-month term and negotiations continue to increase the line to $3.5 million to finance a total of 145 vehicles. Best Way Auto and Truck was acquired on April 1, 2016 by American Commerce Solutions, Inc. (OTCMKTS:AACS). They have operated rental locations in Miami, Orlando, Jacksonville, Ft Lauderdale, and New York. The fleet size is approximately 3000 vehicles represented by 97 employees. After the sale of Flite Ways and a quiet period, the executives formed Best Way Auto & Truck Rentals in December 2015 with a goal of replicating that company’s success. Best Way Auto & Truck Rental currently has 3 locations open and options on an additional 11 locations with plans to expand further onto college campuses where the company’s first time buyer program and 3 hour rentals for college students will become readily available. The stock has a history of making significant gains in a short period with gains of over 300% and sometimes reaching above 500%. It could be ready to breakout after the recent acquisition and news of credit line to continue to expand its business to drive new revenue opportunities. AACS is currently trading at a $5 million market valuation. The company recently made an acquisition that has a proven business model and success in the past. Management is attempting to replicate this success with its new subsidy and has begun acquiring and expanding its fleet. Stay tuned for this exciting story. We will be updating on AACS when more details emerge so make sure you are subscribed to Microcapspot so you know what’s going on with AACS. Disclosure: we hold no position in AACS either long or short at the publication of this article.